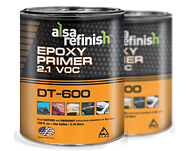 AlsaRefinish National Rule Basecoats or the DT-2000 Series is a basecoat system is ideal for vehicle refinish, commercial vehicles and equipment. 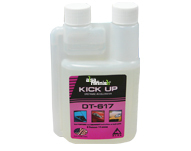 Excellent for repairing OEM 2 and 3 stage systems. These factory pack colors are formulated with the highest quality range of lightfast pigments to meet OEM color standards. 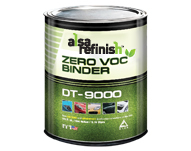 AlsaRefinish Zero Voc Binder is an ideal to reduce the VOC of nearly any automotive Basecoat system. With the introduction of this binder you can achieve 3.5 VOC and much lower (AQMD rule	1151). 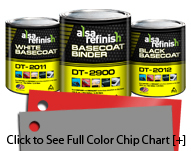 AlsaRefinish Zero Voc Binder has a lifetime warranty even when mixed with other paint brands. 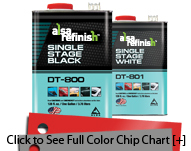 Mixes with virtually all brands of automotive paint. 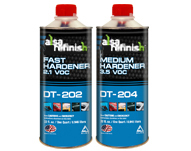 DT-927 is a ZERO VOC Fast Primer Reducer that can be used as a universal primer reducer. AlsaRefinish additives are formulated to enhance our product's performance and color in everyday situations and may be used as universal enhancers for many manufacturers' products. 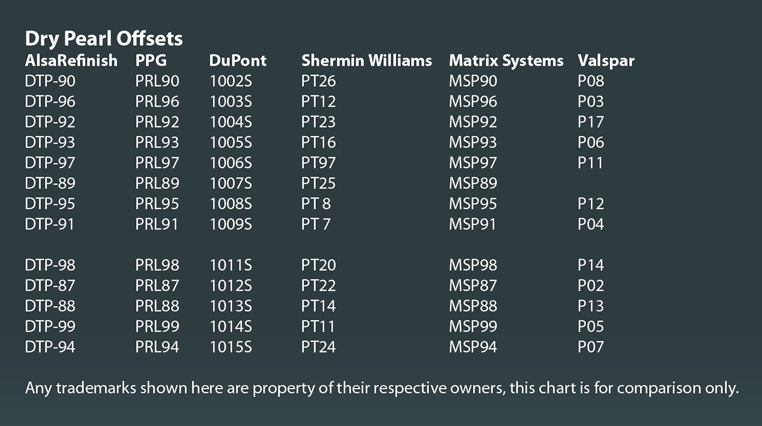 Click Here for complete dry pearl offsets. AlsaRefinish 3.5 VOC Hardeners are all made with the finest grade isocyonate available on the world market today. All of our hardeners are manufactured in a closed loop nitrogen blanked system. We follow strict manufacturing standards to ensure that our customers receive the finest possible finished product. 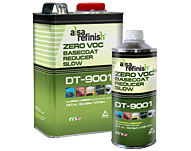 AlsaRefinish ZERO VOC Hardeners are all made with the finest grade isocyonate available on the world market today. All of our hardeners are manufactured in a closed loop nitrogen blanked system. We follow strict manufacturing standards to ensure that our customers receive the finest possible finished product. 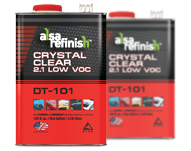 AlsaRefinish Zero Voc Reducers are specifically formulated to reduce AlsaRefinish and all other brands of automotive paint. Manufactured with virgin solvent from the worlds largest solvent supplier, these products are matched to our system as well as many others for premium performance. AlsaRefinish comparable reducers for major brand products offer excellent quality and performance, at a competitive price.